Eye-Fi has announced its new, next generation 8GB Eye-Fi Pro X2 memory card (CES Innovations 2010 Honoree), which powered by Eye-Fi’s proprietary X2 engine that features an exclusively designed chip and Wi-Fi 802.11n radio, allowing users to wirelessly upload JPEG, RAW images and videos from cameras to computers as well as popular online photo and video sharing sites, including Flickr, Facebook, Picasa, MobileMe and YouTube. In addition, Eye-Fi Pro X2 incorporates new Endless Memory mode that automatically deletes the safely-delivered old photos to make space available on the memory card. 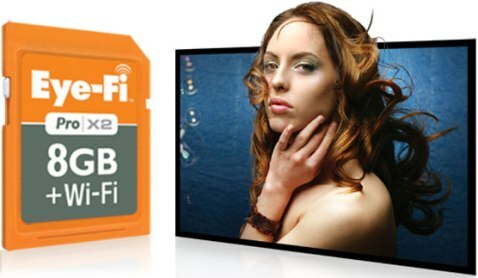 8GB Eye-Fi Pro X2 is now available for pre-order through www.eye.fi and Amazon.com for an MSRP of $149.99.